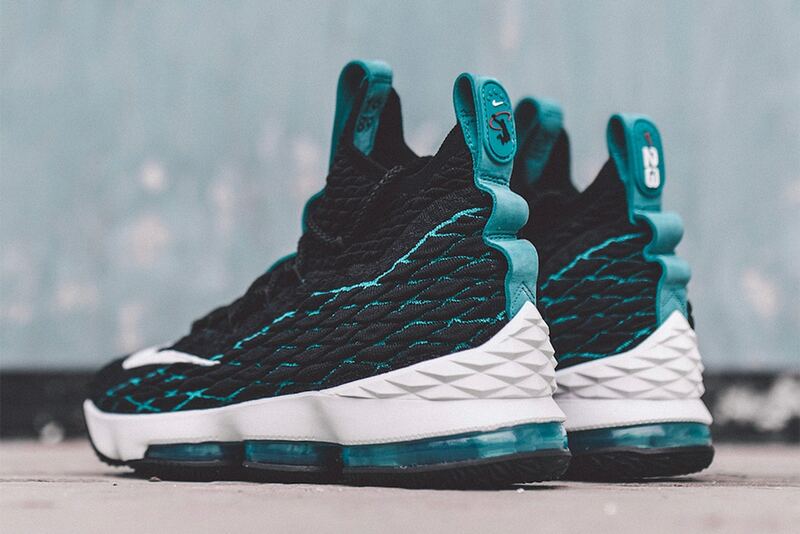 Shortly after LeBron James donned a “South Beach” Nike LeBron 15, he followed up the special colorway with an Air Max 95-inspired edition. 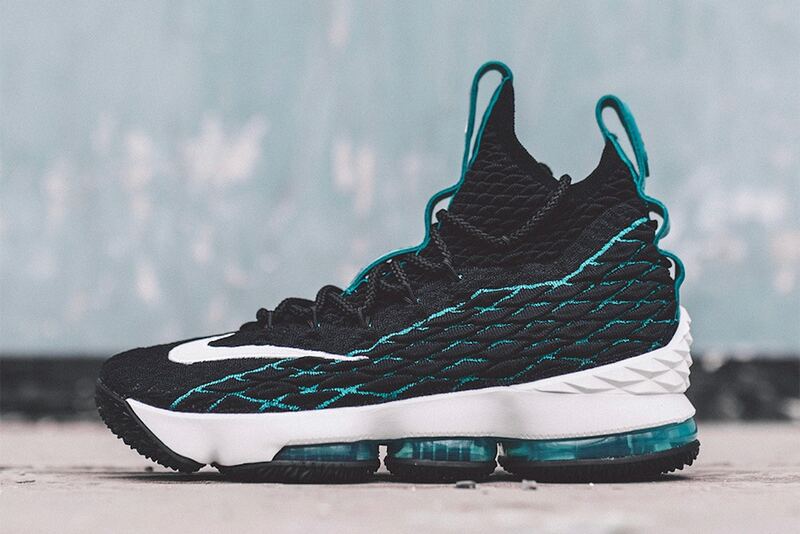 Now the next #LeBronWatch PE has surfaced with inspiration from Ken Griffey Jr. The Nike Air Max Griffey 1’s “Freshwater” colorway makes its way onto James’s 15th signature model with black on the majority of the Battle Knit upper. 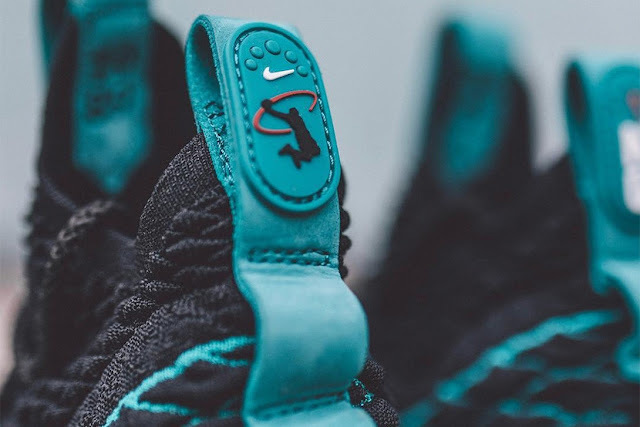 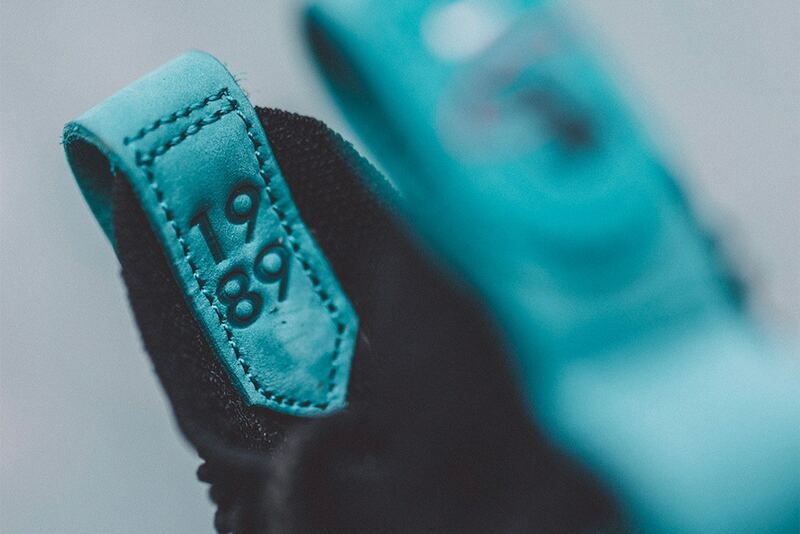 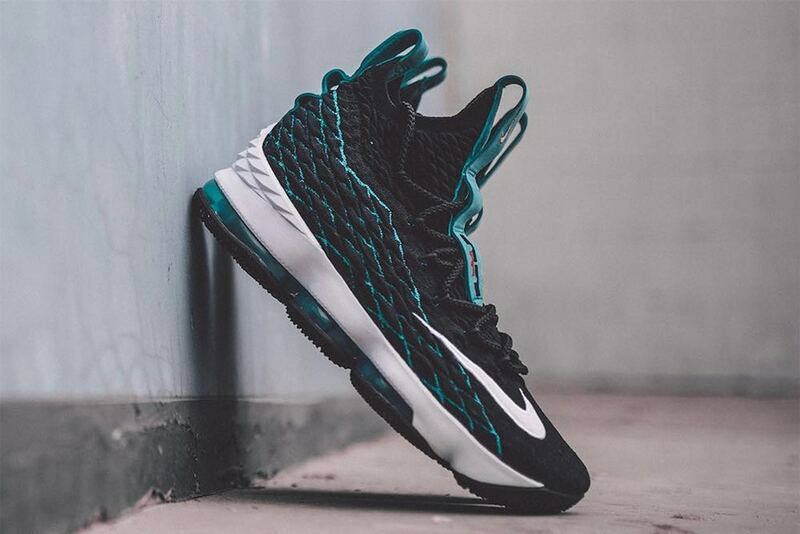 White and “Freshwater” are added to complement its black base with LeBron’s Dunkman logo incorporated on the pull tabs for the finishing touch. Retailing for $185 USD, you can expect this #LebronWatch to release on Nike SNKRS soon.